For the keenest drivers, describing a car as an ‘investment’ can be a bit of a dirty word. It evokes the notion of a car being locked away, never driven, for fear of ruining the value. And we get it, but what if we told you that you can buy a car, drive and enjoy it, and have it actually cost you nothing, or even make you a few bucks by the time it comes to move on? ‘Investment’ doesn’t just mean concours Jaguar E-types and rare aircooled Porsches. It’s not reserved for the RM Sotheby’s and Pebble Beaches of the world’s elite either. Especially these days, more and more people want to get into a classic, and with smart schemes like Club Plates, it’s never been easier. But no one wants to pour money down a drain, so how do you choose? One of the things that can help is to look at the Blue-Chip collector cars, and find the next best thing. 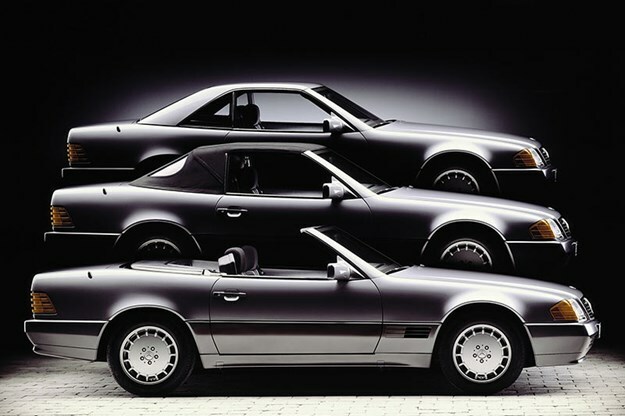 Case in point: the Mercedes-Benz SL-class. 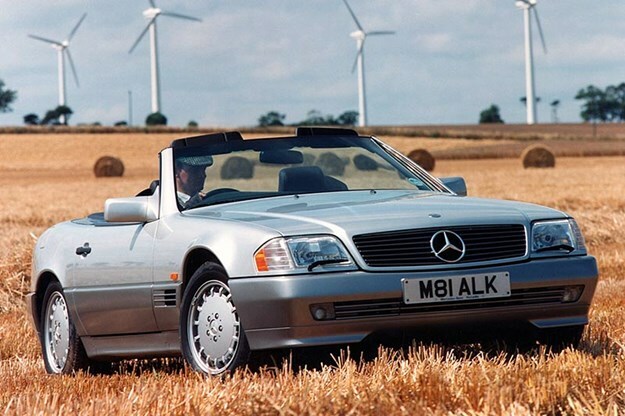 The SL-class Mercedes-Benz is a mainstay in the car collecting world, and arguably the paragon for drop-top luxury motoring. Its collectible provenance can be traced back to the ubiquitous ‘Gullwing’ models of the 50s. The succeeding W113 generation of ‘Pagoda Roof’ SL roadsters, produced from 1963 to 1971, has been one of the most desired and sought-after blue-chip classics in recent times. But after they were priced out of reach for the everyday person, 1972’s R107 soon found itself on centre stage of the world’s auction houses. Curiously, the R107 was never lauded in its day, but gained its classic certification as a trickle-down effect from the suddenly unaffordable ‘Pagoda Roof’ Benzs. 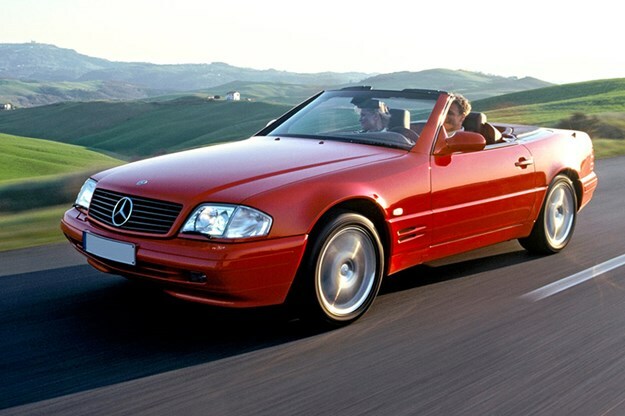 Which brings us to the R129 generation of Benz’s drop-top roadster. Prices are bolstering up with top-end examples already having overtaken entry prices for the later R230 generation from late 2001-2011, but they are still as of yet, extremely affordable. Over 200,000 were produced over its production life cycle, so they’re easy to step into, and parts won’t be impossible to find. The R129’s merits aren’t just in its family DNA however. 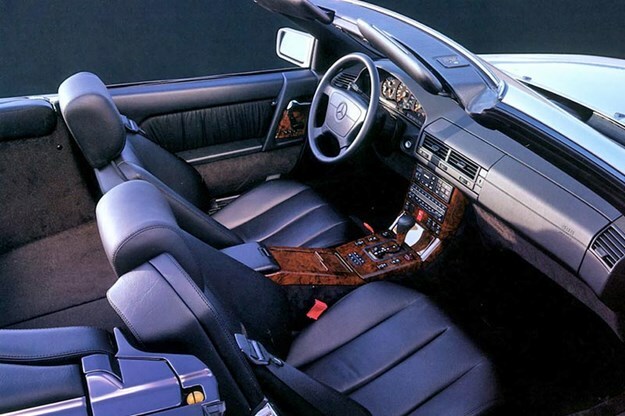 The SL500’s 5.0lt DOHC V8 had the gusto to transform the car into a world-class grand tourer, a stout rival for Aston Martins of the time. Six-cylinder models may not have the brisk performance, but will still cruise with silk-like smoothness and may actually offer a better driving experience with less understeerinducing weight over the front wheels. 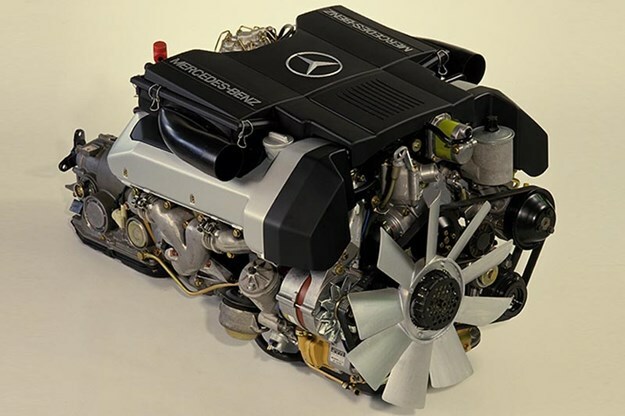 At the other end of the spectrum, V12-powered SL600s do exist, though are far rarer, and caution should be exercised due to the increased buy-in price and cost of maintenance. It was filled to the gills with tech as well. It famously featured a pop-up rollbar that would deploy automatically if the car sensed a rollover, featured electronic-everything (even adjustable headrests) and a new multi-link rear end replaced the R109’s primitive swing-axle. Regardless of what powerplant you choose, this was always a car to be seen in. 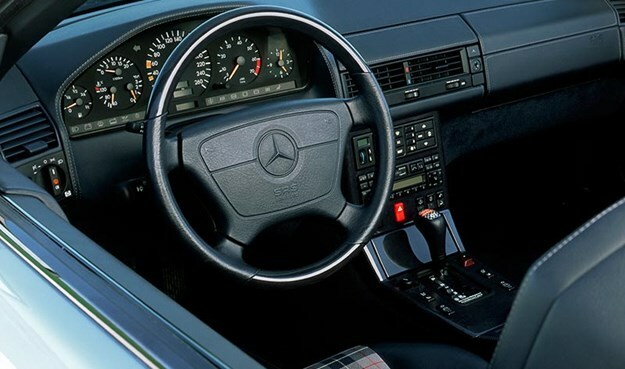 They’re increasingly being praised for their retro-boxy design cues which, despite arriving in 1989, have come to typify 80s design as a whole. 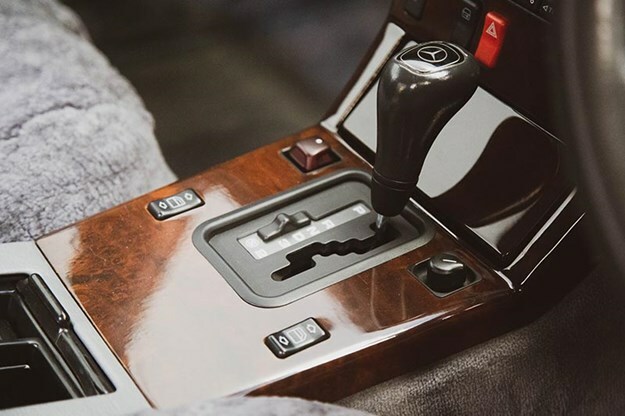 The R129 Benz may not have carried the panache of a Ferrari or Porsche, but it became the very symbol of luxury in its time. Princess Diana famously bought one herself, to the shock and horror of UK press who slammed her for not buying British. She later returned the bright red Benz amidst the PR nightmare, but honestly, we reckon she made the right choice! 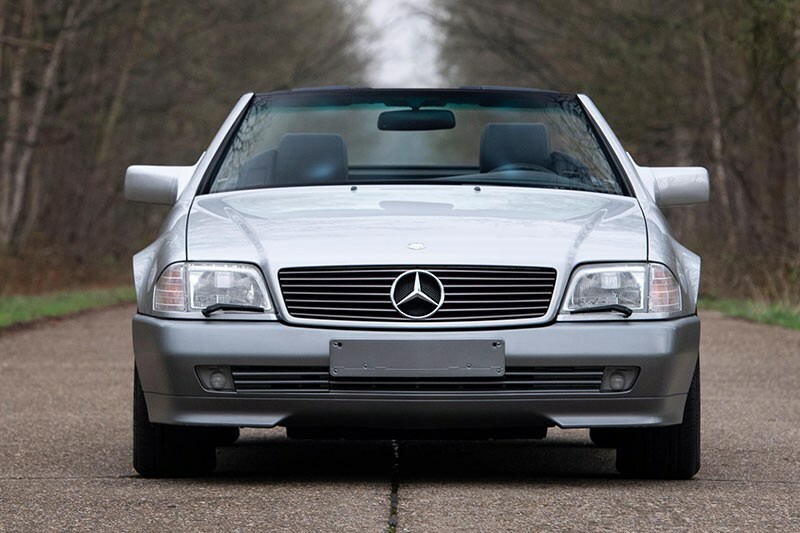 So if you’d like to own the car that Princess Diana wasn’t allowed to, where do you start? 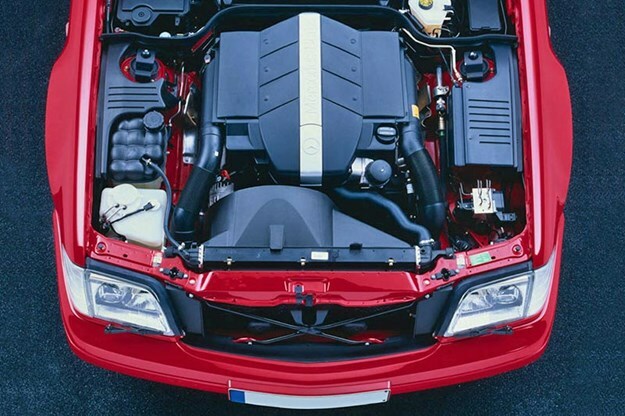 Well the small engines attract smaller prices, with the 2.8lt six-cylinder 280SLs available well under $20,000. 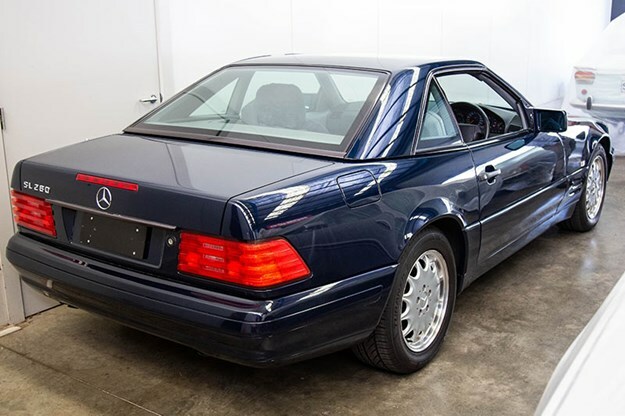 If you’re after a V8 SL500, high-kilometre examples begin just over $20,000 with prices reaching $40,000 for the most outstanding examples. As the R129 SL’s older siblings continue to trend skywards, these prices should continue to stew and should shore up in the future. You know what they say about history repeating itself! We had a poke around this gorgeous Australian-delivered 1995 Mercedes-Benz 280SL at Brooklands Classic Cars in Melbourne. Featuring the 2.8lt sixcylinder and with 120,544km it looks like a sweet car to cruise around in this summer. With full service history, it looks to be in great condition. 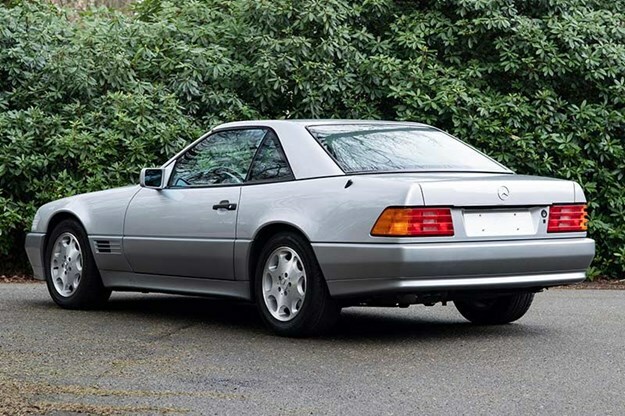 Paul Sabine at Brooklands said they "have a couple, including another (SL)500 with only 9000km on it". He followed on to say that "arguably, the six is the better drive". 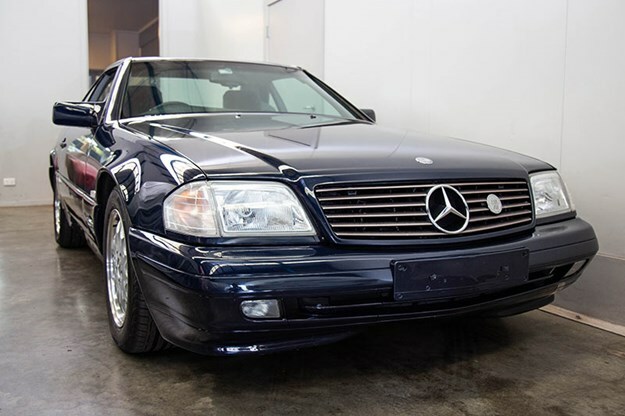 For a car that would have set you back in the range of $260,000 back in the earlymid-90s, they represent some serious value if you’re after a robust top-down European cruiser. If you’re seriously inspecting to buy, something to research is whether the car was Australian-delivered or an overseas import. If you are dealing with an import – be sure to find out where exactly it came from. 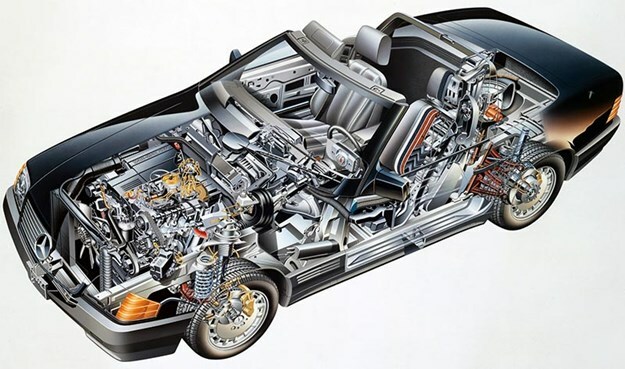 Overall, the R129 wasn’t quite as prone to rust as some of Mercedes-Benz’s other offerings of the period, however imported cars from snowy or humid climates may face exacerbated degradation – especially in the rear section.